One year ago today we stood on our new brewing platform more racked with nerves than excitement. “How the hell did we get here?” was unspoken but not forgotten. 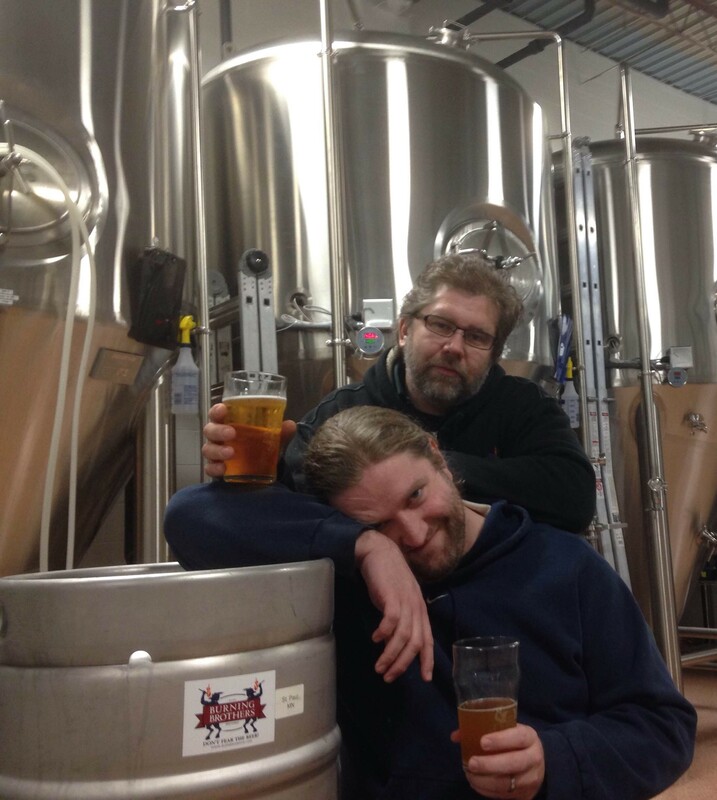 It was 20 hours from start to finish for that first brew, a mere 200 gallons of beer. We had much to learn. Today, we brew nearly 500 gallons in half that time, we employ 5 people full-time and we sell beer in 4 states (6 by year-end). “How the hell did we get here?” is still unspoken but not forgotten. In these past 12 months, we have learned to check our egos at the door and instead, focus on quality and pride. We are proud of our past mistakes and that we can continue to learn from them. We are proud of our familys and the sacrifices they have made and the sacrifices they are willing to make. We our proud to support the community that has supported us and for their ideas, friendship and never-ending thirst. We are a proud Minnesota brewery. We are proud to be gluten-free. Pride may be a sin, so if it is, let us be sinful. 100,000 cans…These are just a few of the numbers this year has brought. A ways, a means to try to put a shape or definition to what has been indescribable journey. Happiness, pain, joy, frustration, discovery, humility. It’s been a roller coaster of emotions that really is hard to put into words. Yet here we are at this milestone and ultimately I have to agree with Dane… I am proud for what we’ve done and what we continue to do. It hasn’t always been easy and I know there is more to come, but I’m glad we’ve walked this path. It might be trite (OK, it IS trite! ), but we couldn’t have done it without all of you.